I guess you can say I was born into it. 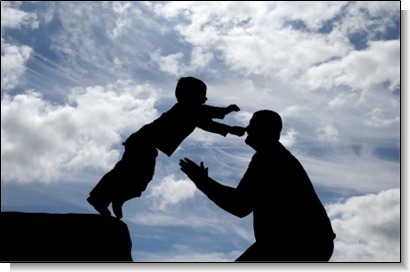 The strong and innate desire to mentor or be a father figure to children who do not have a strong positive fatherly male role model. It runs in the family honestly, (more on this in a future post), not only had my father watched his father become a father figure to an entire community watching him care for children who had no father, but I too have watched my father become “dad” or even “grand-dad” to countless children who have no father. I still have memories of my days in middle school and even high school, when some of my friends asked me if I minded if they called my father, “dad,” I’d always reply “ask him” and my dad always said yes son of course, that’s just how my dad is. Even now, at 65 years old there are 3 children that affectionately call him granddad! I have seen firsthand the positive impact that having a father-figure has in the lives of children who don’t have a real father involved in their lives. 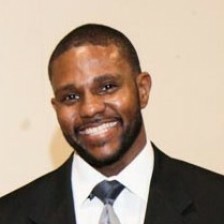 After getting permission from my wife and my children (I asked if they would be willing to share me with other kids) I set out to mentor at local schools in Alief ISD (Alief is a community with a very high fatherless rate) and set up afterschool programs at the church I Pastor where I could be involved helping children learn about God and themselves. What the children don’t know when we first meet is that I have a vested interest in the success of their lives, I genuinely care how their lives turn out. I believe once they feel this genuine care it becomes the spark in them that drives them to ask for a father-figure relationship, of course not all of them do but I’m grateful for the couple that do. Once we have established a father-figure relationship, I begin asking for progress reports and report cards holding them accountable for their grades and conduct. I’ve seen D and F students turn into C, B and A students. I seen students go from serving time in alternative school because of fighting to becoming well mannered and courteous young boys and girls. As a father-figure, setting an expectation is crucial, it shows them that you believe in them and you see more to them then how they are in the current state. To date, besides my 3 natural born children, I have 5 others that also call me dad or some form of the term. Helps & Cares about the fatherless – Psalms 10. In a way I guess we have all been born again into this great calling of ministering to fatherlessness. The second you accepted Jesus as your Savior (if you have not, but want information, please click HERE. ), you were born into a great big family where we care for each other’s needs. And yes, one of those needs is fatherlessness. On my next post, I’ll discuss what the bible has to say about fatherhood and why God has called us to be fathers to those who have none. Remember, subscribe so you get the updates on the latest posts. That was a great article. I’m looking forward to the next one. Parris I am so proud to have you as my big brother. *tears* You really have transformed into a powerful man of God and I got to watch this transformation happen. You give me hope for things I’d like to overcome in my own life . I love you so much. Please continue to do God’s work as he has called you to do and do not be discouraged by others or by circumstances.